← Meatless Monday: Vegan Brunch! It’s so eassssy being green, if you’re a pistachio that is. Pistachios are wearing little birthday hats as it’s their big day! National Pistachio Day is Friday February 26th and pistachios are ready to be snacked upon. Other nuts get green with envy over pistachios’ nutrition profile. 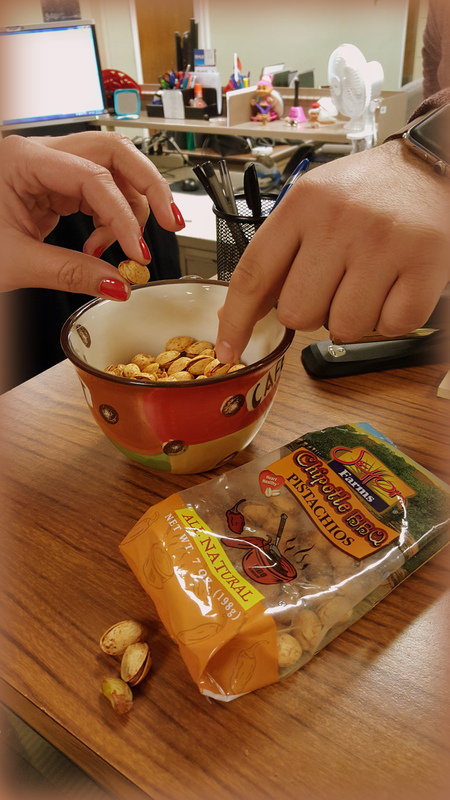 Did you know these lil’ guys have the lowest calorie count of any nut and with 49 nut-a-rinos in one serving, you can get your fill of the good green! Beauty is on the outside and inside! Pistachios’ antioxidants reflect their colorful complexion. Pistachios pounce on health problems with more antioxidants than 100 grams of blueberries or pomegranate juice. Protein Punch: Almonds or walnuts? Nah, pistachios pummel them both with more protein (6 grams) combined with heart healthy fats. Nutrition in a Nutshell: Pistachios crack the competition with only 2 oz having more cramp busting potassium than a banana. Fighting with Fiber: Pistachios promote good health with 3 grams of fiber per serving, better than your average snack bar! Go nutzo with more nutty history on the pistachio here. We are celebrating pistachio power with a party full of vegan, gluten free, dairy free, GMO project verified fuhreee pistachio goodies given to us by Setton Farms, the 2nd largest pistachio grower and processor in the U S of A! 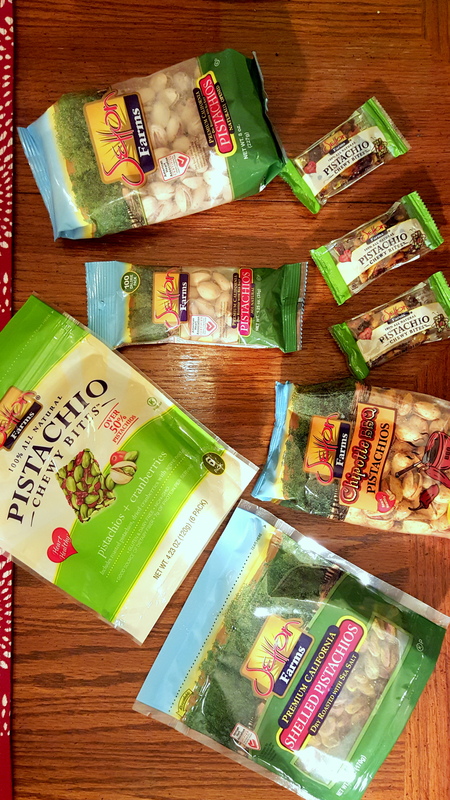 Setton Farms has a variety of pistachio products including Pistachio chewy bites, chipotle BBQ pistachios, shelled or unshelled pistachios and more more more. Looking to pizzazz up your pistachios? 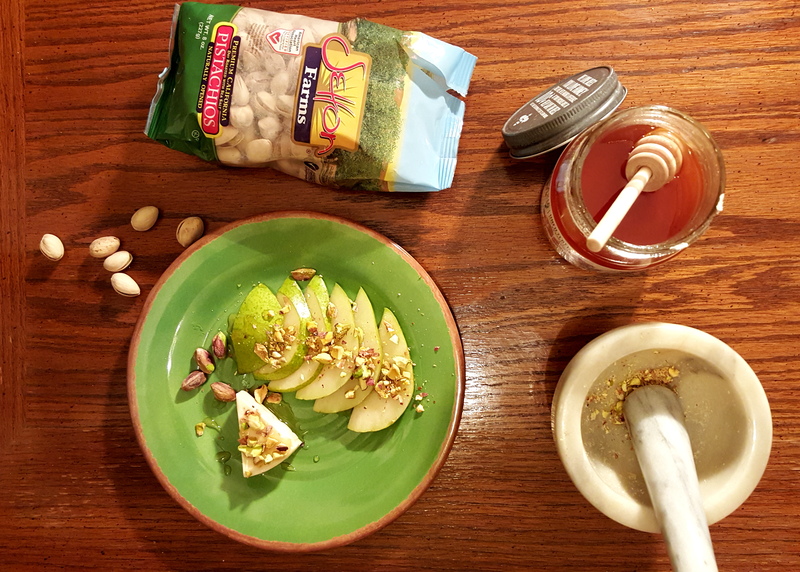 Try this Monica inspired pleasing pistachio recipe! Slice the pears and lay them on plate. Spread asiago cheese on or nearby the pears. 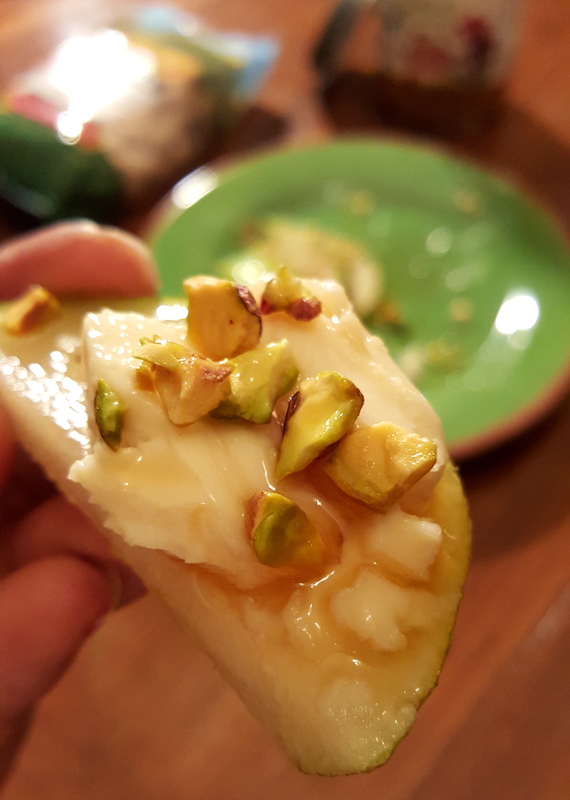 Drizzle honey over the pears and cheese. Crush the pistachios and sprinkle them on top. Eat and Enjoy! Pick a Setton Farms recipe or even pique your palate with these 53 Buzzfeed Pistachio desserts…and share with us puhleassse!